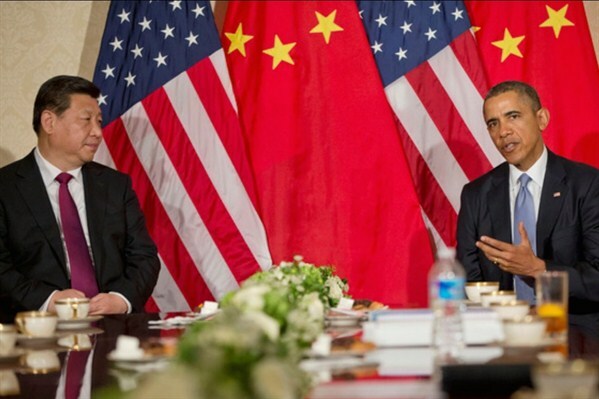 U.S. President Barack Obama during a bilateral meeting with Chinese President Xi Jinping at the US Ambassador's Residence, Amsterdam, Netherlands, March 24, 2014 (U.S. Embassy in the Hague photo). Since U.S. President Barack Obama and his Chinese counterpart, Xi Jinping, met in Beijing last November, the United States and China have seen incremental progress in cooperation on climate change, Iran’s nuclear program and other areas, as well as continued strong trade. Yet these positive developments have been overshadowed by a deepening distrust over an array of other issues: the South China Sea, cyberespionage, the establishment of the Asian Infrastructure Investment Bank and the intensification of a human rights crackdown under an increasingly authoritarian Xi.